Teaching Professional at Pine Meadow since 1996. Former instructor Golf Digest Schools. Nominated Illinois PGA Teacher of the Year for 2004 & 2007. Qualified for Gate Petroleum PGA Open 1993. Competed professionally for 3 years. Collegiate player at West Texas State University. Former Head Golf Professional at Amelia Island Plantation. Titleist Performance Institute (TPI) certified. John will be offering Small Group Junior Programs. Class size 3 - 4 students. Call 847-514-9009. Instructor at Pine Meadow since 1994. Illinois PGA Teacher of the Year, 1999. Illinois PGA Junior Golf Leader of the Year, 2000. Contributor to PGA of America Teaching Manual. Teaching and coaching since 1980. Currently has 15 nationally ranked juniors in his Masters Program. New to the Pine Meadow teaching staff in 2014. 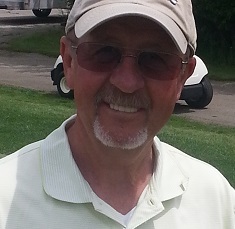 Robert comes to Pine Meadow 34 years at Skokie Country Club as Assistant Golf Professional and Head golf Professional. As a teacher Robert has demonstrated success with players of all levels. While at Skokie Country Club he had taught the men's and women's club champion as well as the many flight winners, male and female, of all levels. His love of the game is infectious, this has worn off on his students so his many beginner students, men, women, and juniors have become lifelong players. One of his students has won on the PGA Tour. Robert has been mentored by such nationally known instructors as Dr. Jim Suttie, Jim Hardy, and Mac O'Grady. His philosophy of instruction can be summed with two phrases: "The ball does not lie." and "Remember you are playing the game, not playing the swing." He is a past Illinois PGA Section Champion, played in a Western Open and has won multiple Illinois PGA events. Robert Dickman’s students achieve and exceed their highest potential because Bob has the ability to coach them into their natural movement pattern. Bob customizes each player’s swing and designs a program specifically for them. Using specialized technologies and his keen eye Bob can diagnose a problem and use all 4 four steps of motor learning to lead them through it. 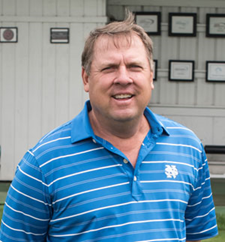 As a player Bob was the Illinois PGA Assistant Professional Player of the Year in 1985, 1986 and 1987 and twice qualified for the National Club Professional Tournament. He went on over the next twenty years to serve as the Head Golf professional at Old Warson Country Club (host of the PGA Ryder Cup Matches) and Glen View Club ( US Open Host). He is the 2016 Illinois PGA Teacher of the Year, Bob has had the honor of being nominated for the Illinois PGA Teacher of the Year 7 times. 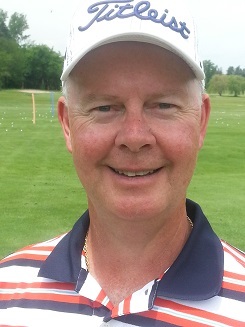 Bob is a Level 3 Titleist Performance Institute Golf Professional, Junior Coach, and Biomechanist.Titleist Advisory Staff and winner of Titleist Top 100 Global Fitting Accounts 5 times, players have sought Bob's fitting advice as readily as his instruction. Bob's students have won over 45 events on tour as well as the Illinois State Junior Amateur, Illinois US Kids Championship, Illinois Mid Amateur Championship, as well as countless club championships from clubs across Illinois and beyond. A countless number of his junior students have gone on to compete in college some of which are: Colorado, Marquette, Kentucky, Bucknell, Northern Illinois, Illinois Wesleyan, Carthage, Stetson, Wheaton, Alabama, and Lipscomb. Bob uses the most sophisticated training and fitting technologies in golf such as the Trackman Launch Monitor, K-Vest 3D Motion Capture, V1 Video System, BodiTrak Ground Reaction Sensors, and Premier Level TPI Training methodic. 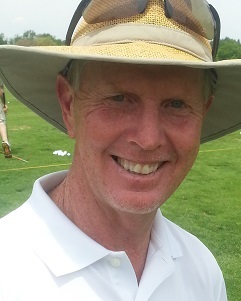 Chris has instructed adult and junior golfers for over 25 years. The last 15+ years have been in the Chicago-land area. Conducting over 15 junior camps, 10 adult clinics and has taught an average of 600 lessons annually. He has worked with many top teaching professionals and has been involved with the golf schools like Jack Nicklaus/Jim Flick and John Jacobs in the past. Contact Information: Please call or text me at 847-710-9012 to book your appointment. Email is cmacgolf6@aol.com.